The beauty of the unbroken, wind-swept prairie grassland deeply touches all those who experience this spectacle of nature first-hand. The prairie landscape is not only beautiful, but historically was rich in its biodiversity. But now, prairie grasslands are the most threatened ecosystems in Canada and, in fact, worldwide. The relatively flat and treeless landscape is easily turned under to make way for crops, towns and rapidly spreading subdivisions. In other cases, grazing is so intensive that the land fails to support native wildlife or plants. Over 80% of plant and animal species that are currently endangered or have gone extinct in western Canada occupy or formerly occupied the prairie. Nonetheless, few people who have not lived on or visited the prairie appreciate or value this landscape. Given that much of the prairie lies outside the boundaries of protected parks, people from many walks of life need to work together to maintain this landscape for future generations. 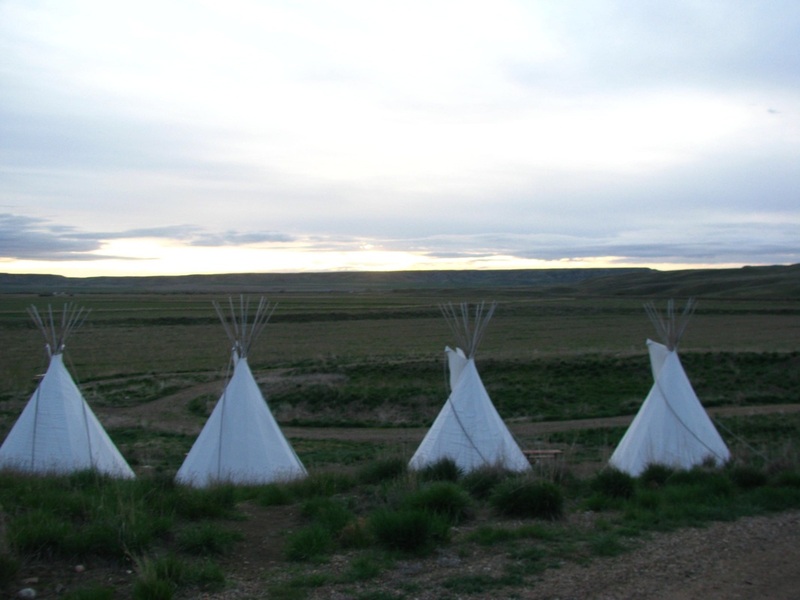 These include First Nations and ranchers, both of whose livelihood is tied closely to the land, conservation biologists, and even writers, artists and other concerned citizens. Through two initiatives, we seek to create opportunities to enable students and researchers to pursue scientific training and research on the prairie grasslands while also learning from the variety of people who are working hard to ensure the prairie has a future. 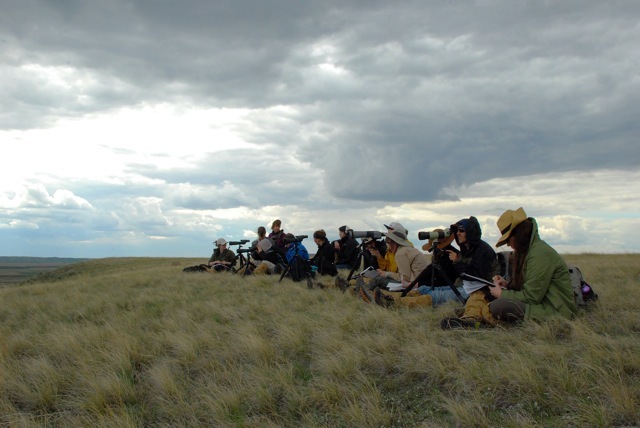 This intensive two-week course takes place at two significant prairie sites: Grasslands National Park in Saskatchewan, and the McIntyre Ranch in Alberta. 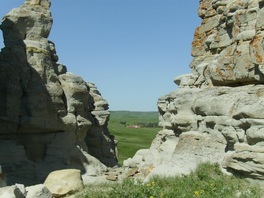 The former is the only Canadian National Park dedicated to grasslands habitat. The latter is an active cattle ranch that is believed to support the largest tract of rough fescue grassland on the continent. This course would not be possible without contributions from McIntyre Ranch, Parks Canada, The Crossing Campground and Resort, Prairie Winds & Silver Sage - Friends of Grasslands, Nature Calgary, Environment Canada, Province of Alberta, university professors (University of Manitoba, University of Regina, University of Lethbridge, University of Winnipeg) and from Cabela's Canada and Eagle Optics Canada, who loaned us optical equipment essential for our work. Many many individuals generously shared their expertise, enthusiasm and time with the students through presentations, discussions and trips into the field. 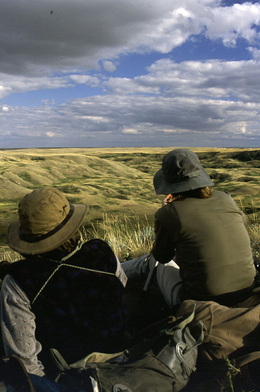 Prairie Field Course fundraising needs: Currently, the department pays for half of student travel costs, and each student pays $550 on top of tuition. These funds are applied to student travel, lodging and food, but are not sufficient to meet these basic expenses. To continue to provide this high-quality learning opportunity without raising costs for students, we need additional funding. Needed: $4500 each time the course runs. The McIntyre Ranch is a rare example of how private ownership with wise stewardship and range management can protect native grasslands. The Thrall family, the current owners, purchased the 225-km2 ranch more than 60 years ago from the original owner Billy McIntyre who acquired the land in 1894. Both Billy McIntyre and the Thrall family have done their best to minimize their impact on the native grassland and its inhabitants and have been recognized for their wise stewardship and their contributions to the larger community. The Thrall family actively supports scientific, artistic and educational activities by providing opportunities for students and professionals in biology, geology, natural history, filmmakers, music and visual art. Since 1993, they have generously hosted my research and the research of many students working in my lab. 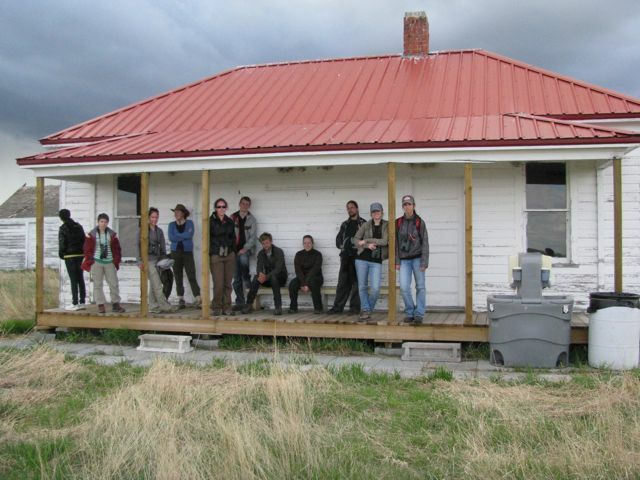 In 2009, the owners and employees of the McIntyre Ranch took it upon themselves to renovate a building at Meadows Camp, an isolated area near the south end of the ranch, to make it possible for students to come to the ranch as part of the Prairie Field Course. McIntyre Ranch Field Station fundraising needs: The main building at Meadows Camp (see pictures at right) is used for work and meals. An old bunkhouse has degenerated beyond the point of repair. Students sleep in tents. Although adequate when the weather is decent, in May this region is typically cold and may have 20-40 mm rain daily or even snow. There are no facilities on-site to allow for personal hygiene and food preparation. There is no electricity or running water. Students use an old outhouse and we rent a portable hand-wash station for the week. 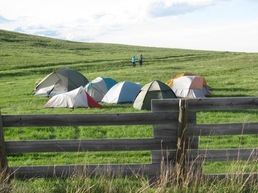 The volunteer cook transports dinners from ranch headquarters to camp each evening. Students travel 12 km to ranch headquarters periodically for showers. We are seeking funds to construct a simple bunkhouse and to develop washing and cooking facilities at Meadows Camp. These upgrades will enable students to sleep in dry conditions and wash and cook onsite while keeping participation affordable, and will also create opportunities for other students and researchers to work at this site. Needed: $25,000 one time cost. On-line donations for the upgrade of the field site and operational costs needed for the Field Course are gratefully accepted through the University of Winnipeg Foundation. To obtain an informational brochure and pledge form, click here or contact Dr. Susan Lingle for more information.